In this his debut release for True North Records, acclaimed Canadian roots artist Old Man Luedecke has re-confirmed his status as an eminent performer on the traditional music scene. Having already been a winner of a prestigious Juno award for his 2008 album PROOF OF LOVE, the Canadian music hierarchy have once again bestowed a nomination on the man from Nova Scotia with the unmistakable name. For TENDER IS THE NIGHT, overall the fifth release for Chris ‘Old Man’ Luedecke, he has spread his wings from the Celtic/folk laden environment of the far north east to gravitate south across the border all the way down to Music City and a link up with the highly esteemed roots musician Tim O’Brien. As you would expect from such a collaboration, the resultant production is soaked in fiddle, banjo, mandolin and an array of guitars that gracefully support the barrage of articulate lyrics from the bard of Nova Scotia. All thirteen tracks hurtle through at a constant pace that, although requiring a decent level of concentration, leave you wondering where that forty minute segment of your life went, albeit in a positive sense. 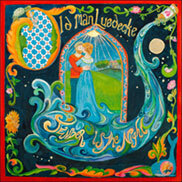 The clear vocal style of Old Man Luedecke eases the passage of the heavy lyrical content from artist to listener in a manner that definitely tips its hat to the western outlook which is a prominent feature on the album. In fact the stand out track ‘Song for Ian Tyson’ is a tribute to an old time Canadian country singer who plied his trade in the wide open western spaces. A similar though slightly slower sound is present in the waltz –like feel to ‘Can’t Count Tears’. 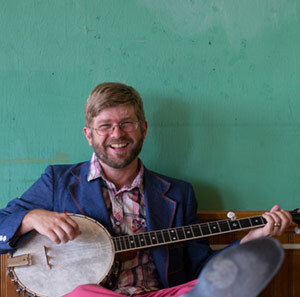 Old Man Luedecke is also a master of the language-laden quirky tale, along the similar lines of fellow Canadian Corb Lund and his pal, Texan Hayes Carll. The fantastic jaunty number ‘A & W Song’ could have been lifted straight from the fruits of these two artists as Old Man proceeds to explore the post drinking escapades of the song’s subject and their interaction with a cab driver as well as the frustrations of the ATM and the cravings of fast food. The depth of the song writing is also evident in the metaphorical struggles detailed in ‘Jonah and the Whale’ and the repeated animal connotations integrated in ‘Tortoise and the Hare’, a song reflecting on the trials of chasing success. Despite the intense listening required for many of the songs, Luedecke also demonstrates his talent of writing a catchy chorus. This can be found in the enjoyable ‘I’m Fine (I am, I am)’ which has a vocal sound similar to that from Paul Simon’s GRACELAND era. ‘Roll in My Sweet Baby’s Arms’ is another positive example of capturing the listener’s attention with a clever, infectious chorus line. Other tracks warranting a mention are the title one ‘Tender is the Night’ a comforting number extolling the virtues of the hope of coming home and album opener ‘ Kingdom Come’ with its sense of belonging. No record delving in a western direction would be complete without some extended reference to drink and ‘Little Stream of Whiskey’ ticks this box perfectly. Although being a touch wordy on the surface, the excellent production of Tim O’Brien holds the songs the together and you explicitly get a sense of where the record wants to take you. Old Man Luedecke is certainly widening his horizons and fresh from an outstanding performance at last year’s Shrewsbury Folk Festival, he is due to return to the UK in May to promote this new record. By then, he may well be a double Juno winner but if not, he has a record that he can be proud of and will find its own niche in the perceptive field of fans of roots music with a western tinge.